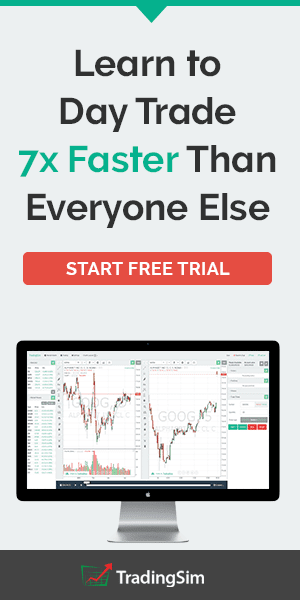 So Why Use Renko Charts? You can trace renko chart's origins to Japan and they were first introduced to the West by Steve Nison in his book "Beyond Candlesticks". The actual word renko is derived from the Japanese word renga, which means bricks. 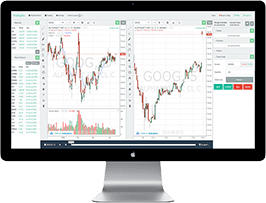 Renko charts are similar to kagi charts and the three-line break charts except that the renko chart is drawn in the direction of the primary trend and have a fixed size. 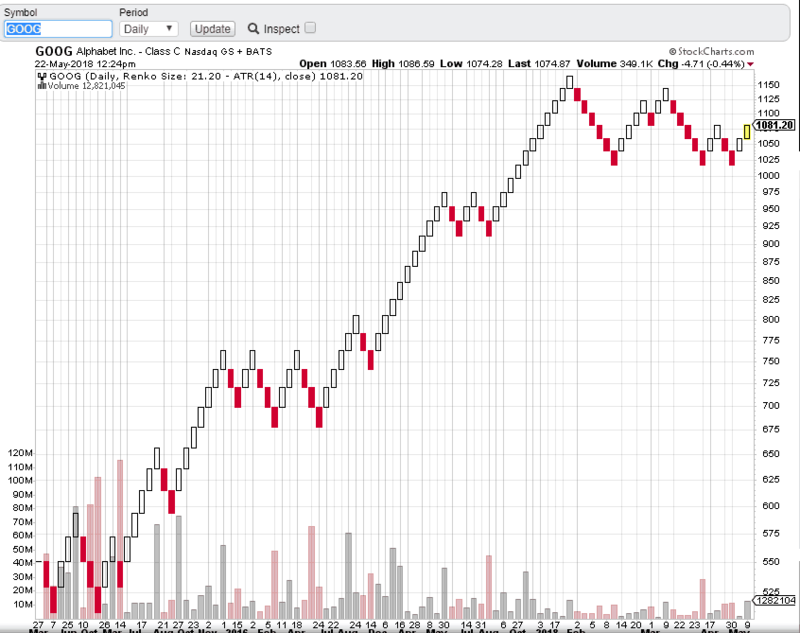 Renko charts are also similar to point and figure charts as each brick is the same size. So, in order to generate an opposite color, the fixed brick size of the Renko must be exceeded. This of course classifies renko charts as a lagging indicator and in choppy markets can lead to a number of false signals. Renko charts are used to determine potential changes in price trend. Below is a chart pattern example with renko bars. The first thing you need to do is construct each brick which are the "building blocks" (get it...) of the chart type. There are two primary methods for building each brick: (1) ATR and (2) set price point. The ATR is a volatility indicator that measures the volatility of a security over a set period of time. To read more on the ATR, please visit this article, which goes into great detail. The average true range looks at the high and low ranges of a security of the default 14-day period which creates the red line you see above. One of the challenges of charting Renko or point and figure charts is that the size of each building block needs to be dynamic. Well if I set a box price when a security is 8 dollars, then should I keep the same box size when the security is 50 dollars? As you can imagine, if I set the box size to 25 cents, I will have far more building blocks print when the value of the security is at 50 versus 8. This is where the ATR helps close the gap. Essentially you look at the ATR value and use this as a dynamic means for creating the Renko brick size. So, if the ATR value is 15, then that is the size of the brick. This size value is again dynamic as the security prints ATR values. This brick size is based on the closing price of the security. You can also select the option to have the renko charts constructed based on the high and close range for the day. To see this, check out the below chart. 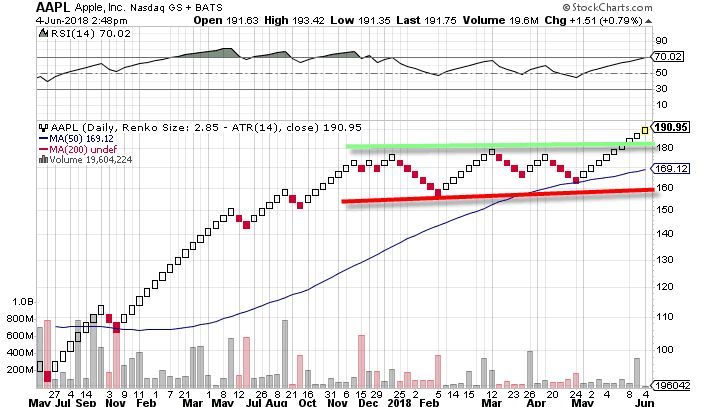 The above chart has more bricks due to the expanded price action that can occur between highs and lows. 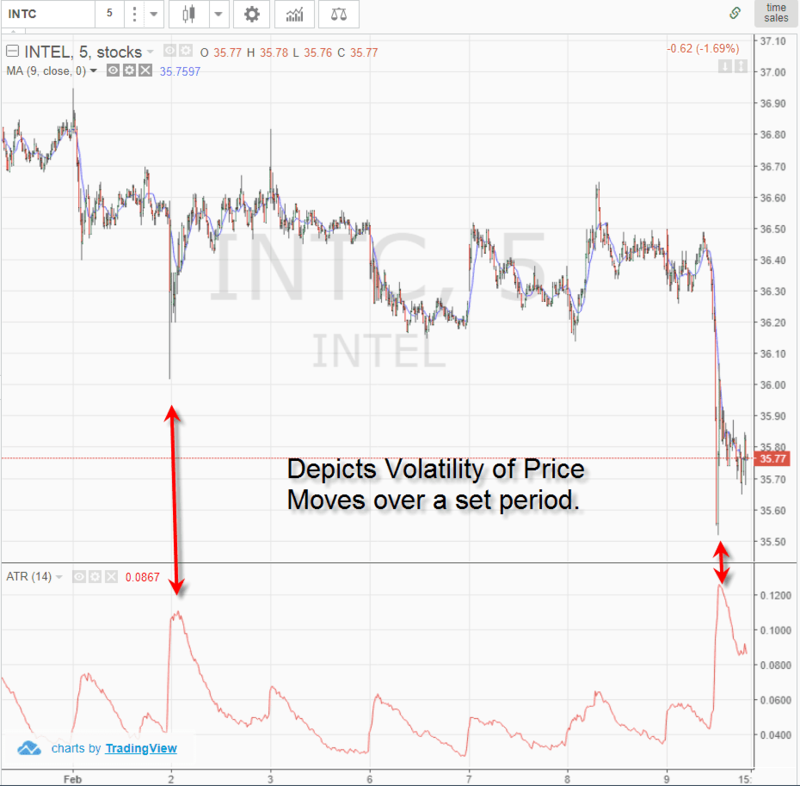 If you are looking for a more accurate reflection of the price action, you will want to use the high low method to construct the brick. The next approach you can use is to construct the brick based on a set value. The value you select is solely up to you and should capture the price move of the security. In the above example, we used a set value of 20 points per brick. As you can see, the number of bricks increased as Google broke 1,000. What I personally like the most to do is to set the price based on a set percentage of the security itself. This way if you develop a price target based on a number of bricks, this target will hold up as your security moves higher. Using a set percentage gives you the flexibility of a dynamic brick, but it's more relative to the actual price of the security and not based on a technical indicator like the ATR. Now that you understand how the bricks are created, the next thing we need to cover is why use Renko charts? I use candlesticks and point and figure charts, but I do understand why someone would trade with Renko charts. 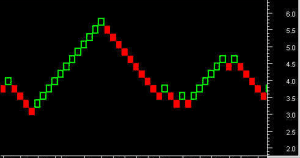 The real benefit of Renko charts is that it quiets all the noise in the market. If you haven't figured it out yet, the market is one big game of head fakes. Candlesticks, while the de facto standard, creates wicks and huge red candles that can shake the nerve of the best of us. Well renko charts removes all the noise and allows the price action that matters to come through. Instead of looking to renko charts to determine price targets or applying moving averages to determine when a trend ends - what about simply looking at renko charts to identify ranges? Why identifies ranges? 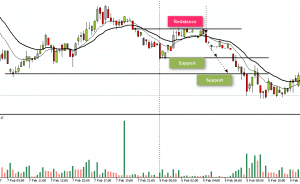 Identifying the ranges further allows you to filter out trading activity of no-consequence. 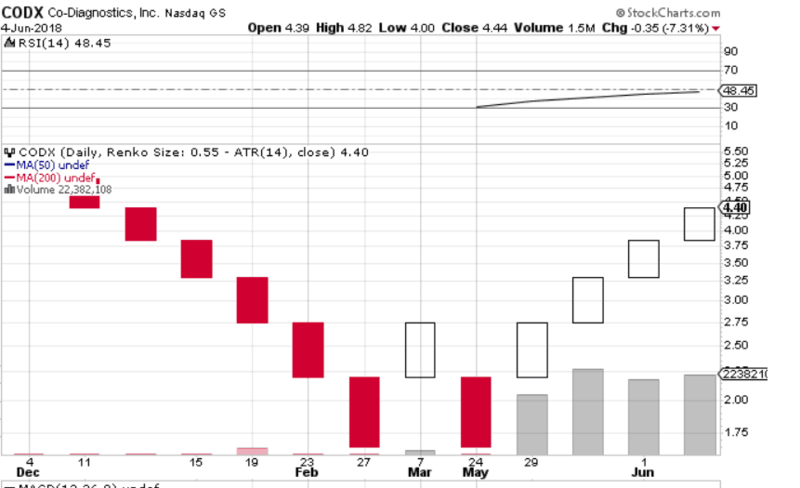 You could be asking yourself, "Well can't I see this on a candlestick chart?". The short answer is yes, but there would be far more candlesticks printing on the chart which could lead you to misinterpret the action. The key to the market is knowing when to not place a trade and the more you stare at the screen the more likely you are to feel the need to do something. 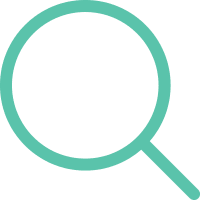 In the above examples of both GHDX and Apple, the key takeaway was to avoid placing any new long breakout trades until the stocks were able to clear their respective resistance levels. As you can see, once these key levels were breached, each stock began strong upside moves. 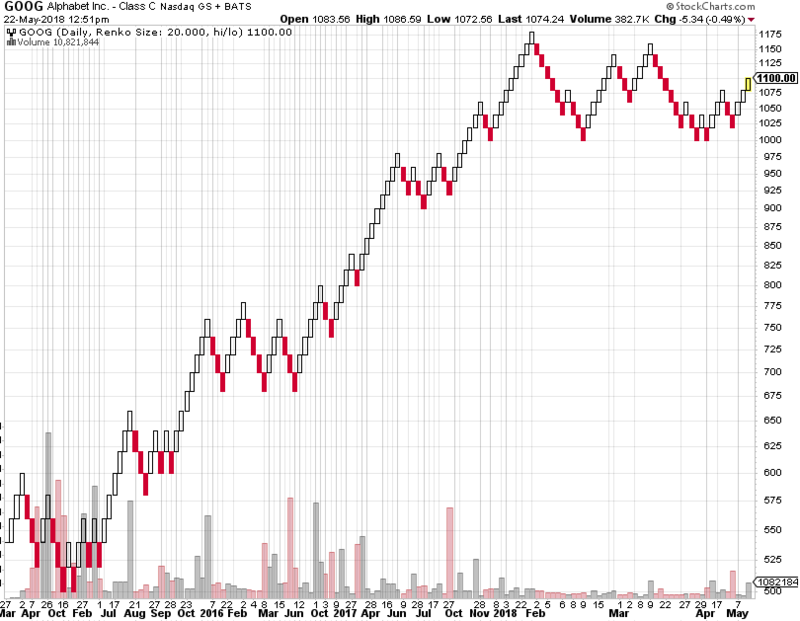 Like any indicator, Renko charts are not perfect. While it is great at times to quiet all the noise, there are instances when details matter. For example, if you are looking at an uptrend line, this could be completely missing from a Renko chart. Therefore, a dynamic support area could be right in front of you, but this line could be invisible to the eye. If you compare these two charts, you will notice how the second touch point on the support line at $87.50 never printed on the Renko chart. 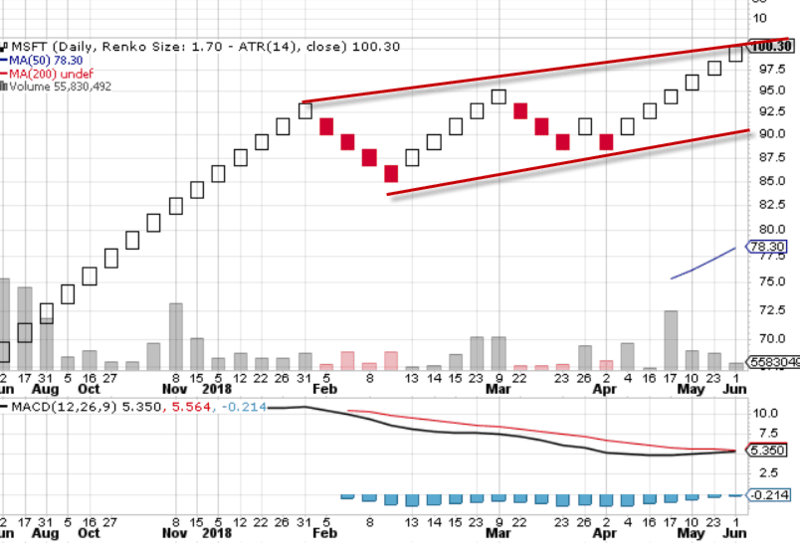 Also, the candlestick pattern developed a symmetrical triangle, while the Renko chart is in an uptrend channel. These two patterns have two completely different price targets. The symmetrical triangle will have a target the width of the pattern, while price will oscillate within a channel until breaking in one direction. As you can see, trying to use both charts will likely lead to more confusion than clarity. Therefore, as previously stated, you are best off using the Renko as a method to identify ranges or support and resistance levels irrespective of time. One of the most important things in trading is keeping the profits you have made on a trade. There is nothing worst then being up on a position, only to give back your gains. Usually the time it takes to give back the money is much faster than it takes to accumulate it. If you are a momentum trader do you see how much information is missing from the chart? The tightness of the trading pattern makes for a mild ATR rating on the Renko chart, hence the brick is unable to capture the true strength of the trend. Where would you place your profit target based on the Renko chart? 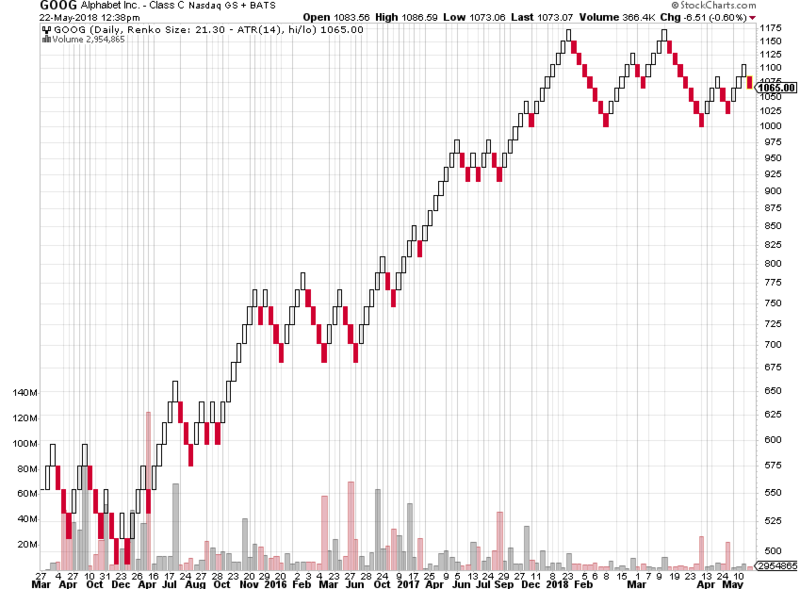 How would you use the Renko chart to stop out of the position? Renko charts make sense for a long-term investor as CODX is likely headed significantly higher. 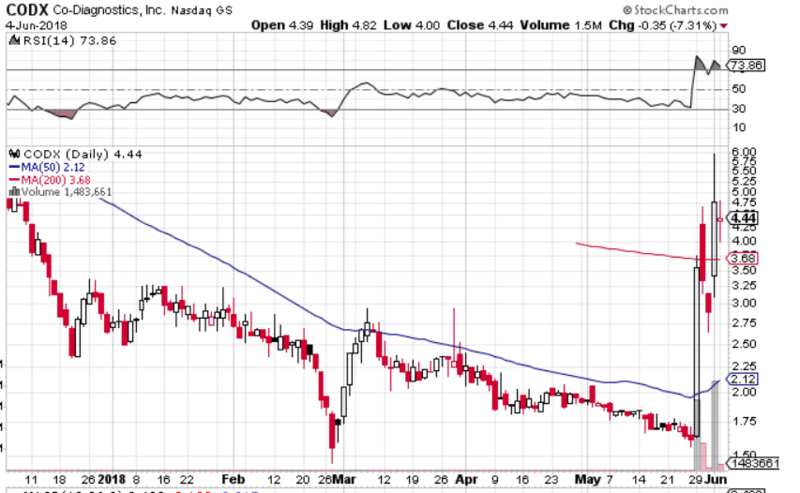 But for my Momo traders, the lack of data will likely turn a winning trade into a loser. Renko charts are a great tool for identifying major support and resistance levels. 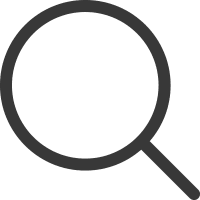 However, if you are an active trader there is too much data missing from the chart that is critical to your trading success. I am all for simplifying what is presented on the chart, but we can't completely void ourselves of the trading decisions of the masses. how will i know a retrace or end of retrace when using Renko? @dd9d46e958cc217f1c90d008932539e1:disqus how will you know that using a barchart?